PSF in collaboration with IdaraTaleem-o-Agahi (ITA) and School Assessment for School Improvement (SASI) organized two days training workshop for the teachers associated with ITA/SASI on 18-19 Feb, 2015. The training session was closed on 19th Feb, 2015. 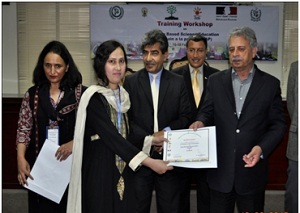 Federal Minister for S&T Mr.Rana Taveer Hussain distributed the certificates among the participants of the training workshop. In addition, Mr. A. G. Niazi, Dy. Director General PSQCA also distributed the certificates. The participants appreciated the activity for capacity building of the teachers. Dr. H. U. Khan, CSO PSF gave the closing remarks in the session. He thanked all teachers especially ITA/SASI for the support and contribution for making the training successful and he assured that PSF will strive for implementation of IBSE at National level in the country. 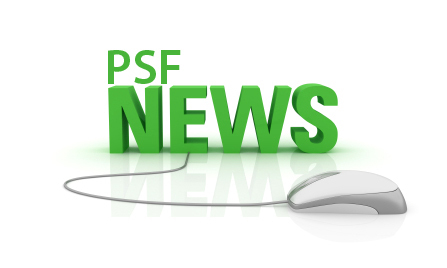 Mr. Fahadzafar, Regional Coordinator SASI also addressed the audience and thanked PSF management and all resource persons for capacity building of the teachers associated with SASI.